With sadness and respect, we must report that Ms. Lisa Edwards will not be returning from her current leave of absence. We understand Ms. Edwards’ desire to prioritize her family at this time. We are grateful for her work, and she will be sorely missed. 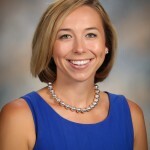 On February 24, 2016, we announced Ms. Rachel Stroup’s promotion to join CDS’ Administration in light of Ms. Edwards’ need to take a leave of absence. We are pleased with and proud of Ms. Stroup’s work thus far. To assist, train, and mentor Ms. Stroup in her new role, Mr. Steve Smith, Headmaster of our sister school, Columbus Charter School, has been splitting his time between the two campuses by working at Charter Day School for three days each week. In light of Ms. Edwards’ departure and to best serve our students, Mr. Smith has agreed to continue to serve at Charter Day School for the remainder of the 2015-2016 academic year as the Acting Headmaster at Charter Day School. 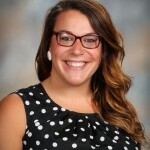 Mr. Smith will be assisted by Ms. Stroup as the Assistant Headmaster of Elementary School and Ms. Walton as the Assistant Headmaster of Middle School. 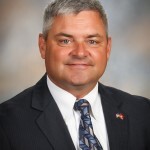 Mr. Smith will retain his role as Headmaster of Columbus Charter School. This is made possible as Mr. Smith has two experienced Assistant Headmasters at Columbus Charter School’s elementary and middle campuses who are ensuring a seamless facilitation of his new schedule. Further, as many of you know, all administrators at our family of four schools are all employed and trained by The Roger Bacon Academy, Inc. so that in events such as this, a selection of administrators is available to ensure continuous, identical operation of any campus in the organization. Our new administrative team looks forward to serving you together.